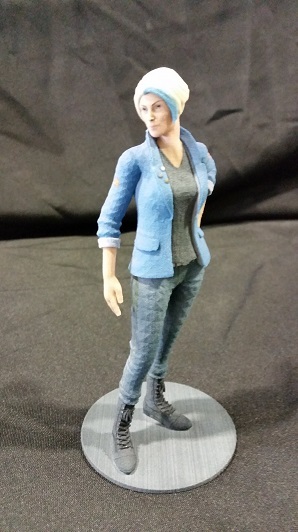 Thanks to some incredible technology and a great working relationship, we’ve partnered with 3D printing experts Eucl3D to offer special prints based on Knee Deep. 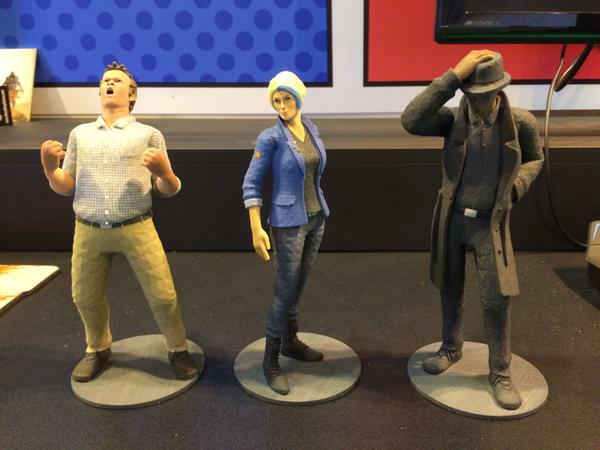 Available right now as featured on the Eucl3D home page, you can order a 3D print of cheeky blogger Romana Teague, local print reporter Jack Bellet, or private investigator K.C. Gaddis. Prints comes in three sizes: 8-, 10-, and 12-inches. These are specially designed prints that capture the essence of each character—Romana’s spirit, Bellet’s frustration, Gaddis’s cynicism. 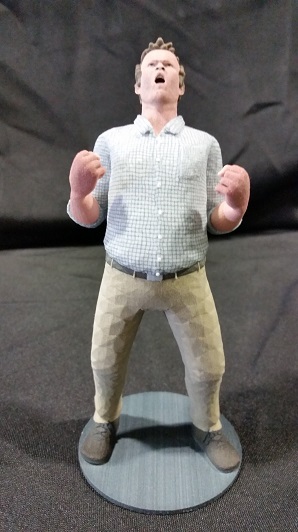 We decided to pursue this project after previously working with Eucl3D to produce a commemorative print for the team. 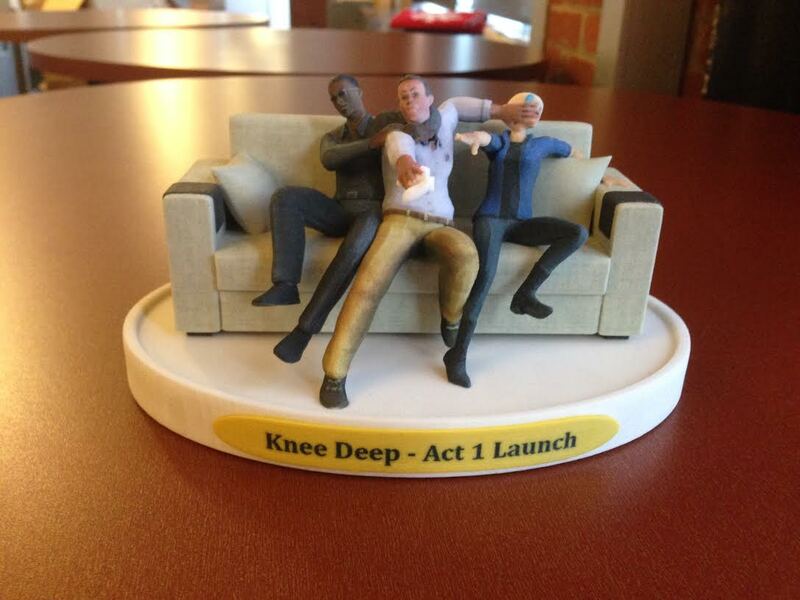 Colin and Emanuel arranged for a print featuring the three main characters on a couch arguing over a game controller (see photo on right). Everyone was so pleased with the results that designing individual prints for Romana, Bellet, and Gaddis seemed an easy choice. 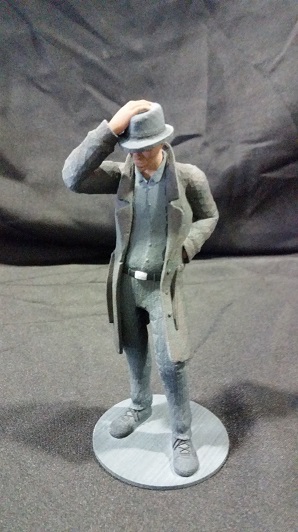 For more details, check out the three Knee Deep character prints now available at the Eucl3D website.